Who: Royal Borough of Greenwich and East Architects. 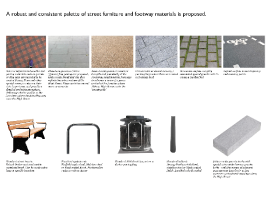 What: Online engagement for a new public realm. 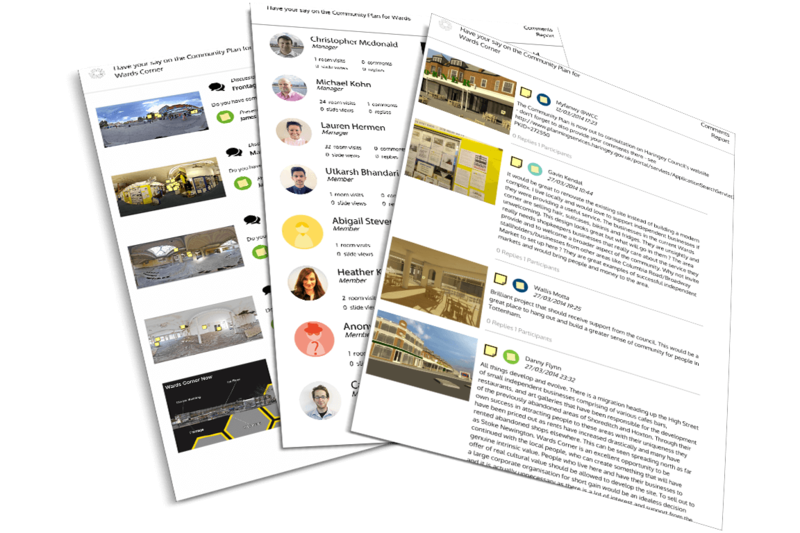 Result: The team created a highly visual and engaging portal for stakeholders to interact with the architectural team, resulting in hundreds of useful comments. 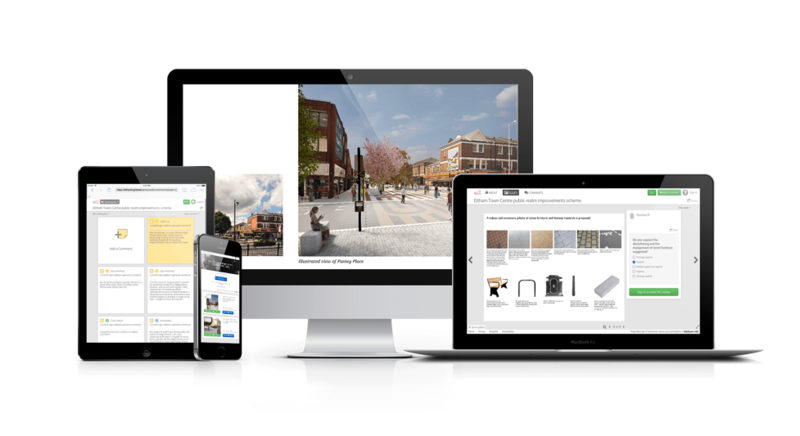 Royal Borough of Greenwich and East Architects selected Stickyworld as their platform to run their online engagement on behalf of Royal Borough of Greenwich for new public realm in Eltham High Street. In 2015 Royal Borough of Greenwich appointed East Architects to develop new proposals for the public realm along Eltham High Street. From the outset this project followed a bottom-up, citizen-centered approach to developing design proposals, being informed by extensive local consultation with focus groups including local businesses, residents and local representative groups. The team were looking for an online solution that could help engage a wider audience in conversations about the possibilities, and then formally consult on the developed plans and provide evidence in support or against the scheme. Using Stickyworld, East's team were able to simply and quickly set up a portal for the project. Combining visual forums with surveys, the architects created online engagement rooms on the Eltham High Street portal, creating a more visual and interactive online opportunity for local people to get involved in informing the design for their future High Street. They created their first discussion room with a series of high level questions and photos, and plan-based drawings of the area, with a view to starting conversations about the possibilities. In order to build an understanding of the issues and opportunities, the architects created their first consultation room as a visual forum to capture insights and opinions about the existing condition and opportunities for change in the High Street. A welcome video by the architects helped explain the opportunity to get involved to the online visitor. Then a series of questions coupled with visuals - early site analysis, and site photographs - was set up to create an interactive slideshow, and encouraged an online conversation about each slide, connecting residents and business stakeholders alike. Any visitor could leave sticky notes on the area maps or pictures, and leave comments or reply to others comments. At the end of the initial consultation period, after over 1000 views and almost 400 comments, the architects closed the room for comment. They then were able to send a ‘thankyou’ message to participants using Stickyworld’s messaging tools. Next they exported PDF and CSV reports which helped them combine the collected online with offline data and review in an Excel spreadsheet. The next stage of the project was to present the developed architect’s plans in a new online consultation room and to run an online survey that exactly matched the paper based survey at the consultation exhibition. This included multiple choice and open text questions set against each slide. The online presentation had the benefit of being available 24/7 and visitors could zoom in to inspect the detail of the plans an choose to submit their survey response online or by paper based form. At the end of the consultation period, the results were exported from Stickyworld and combined with other data from the paper survey. The results formed the basis of information and local evidence to further develop the design, and highlighted areas of interest that might need more explaination or refinement at the next stage. The team used the Stickyworld platform to create their own interactive websites to serve different stages of the project. Their aim was to involve local residents and businesses in a bottom up approach to engagement and consultation, initially shaping ideas in a visual forum and subsequently validating support for proposals with a visual survey. This is a classic use of a Stickyworld portal, enabling early discussion which can inform design ideas, and then follow up with a formal survey about the proposals. If you work for a developer, local authority or design team and you're looking for better ways to manage your online consultation, we offer free online webinar demonstrations where we learn about your project requirements, show some similar examples and also demonstrate how easy and fast it is to set up. If you like what you see, you'll be ready to start your free trial and try for yourself.